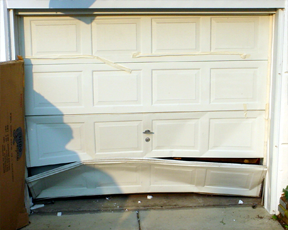 When it comes to garage door panel Replacement or Repair we are professional. there are many available choices. here is couple of option we offer at Express Garage Doors Toronto. 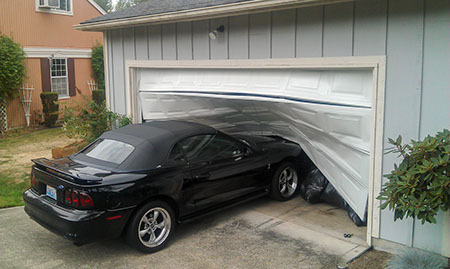 there are some basic things one needs to know about garage door panels. Metal - Metal and steel garage panels are one of the most reliable panels especially when you are protecting your home against burglars. However, these type of panels often do not match the overall look of the house because of their cold, blank tone. To solve this, people try to paint over metal panels, which somehow improves their look. Metal panels can come with an overlay design to give the material a more homely and natural look. Aluminum - One of the best materials for garage panels is aluminum. They are very light, rustproof, and are resistant to weathering. Wood - Wooden panels are also a choice for many people because of their beauty and the warm welcoming look they provide for homeowners. However, there is a great handicap for wood: if they are exposed to weather, they can wear out. As a result, many people with wood garage panels are looking for a better replacement that would last for years. Wood tends to expand and compress depending on the temperature, which might pose problems later on with fitting and lose screws. If one really likes wood for their garage panels, choose a type of hardwood that is most resistant to weather. The main advantage of wood over metal panels is that it is a better insulator than their metal counterparts, which is very useful during the winter months. There is no standard size for garage door panel Replacement, which is why most of them are custom built to fit different homes. One must ask the contractor or supplier of panels to measure the size of your garage entrance. 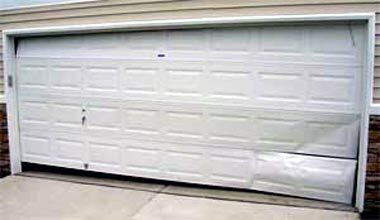 There are also garage door panels that come with insulation pads. This prevents cold air from seeping through your home. call Express Garage Doors Toronto for more info.